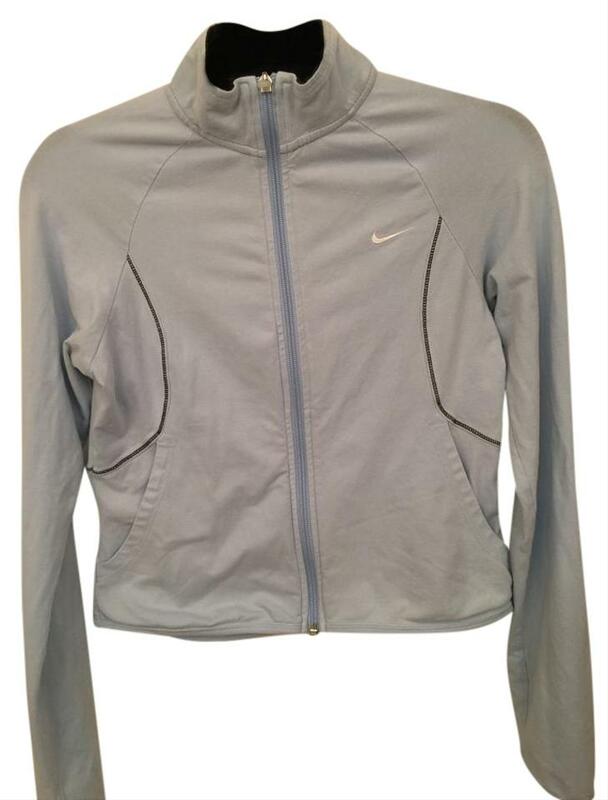 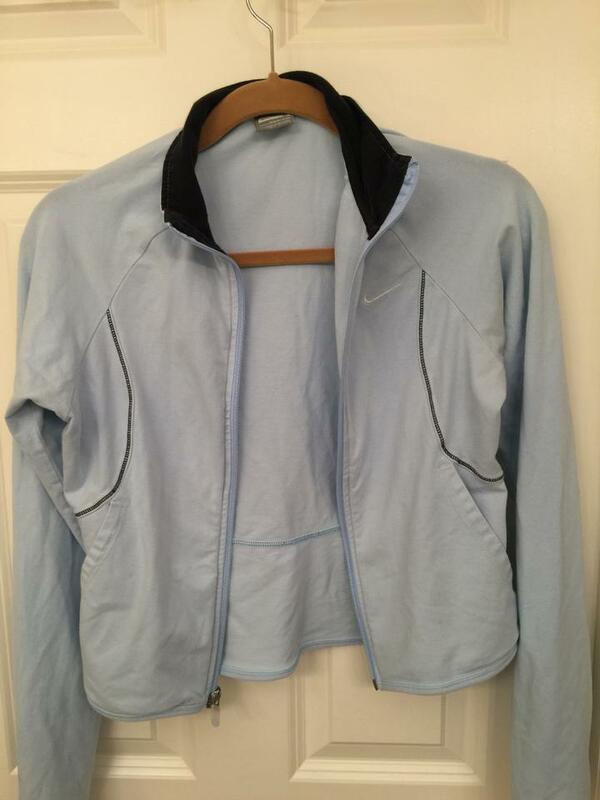 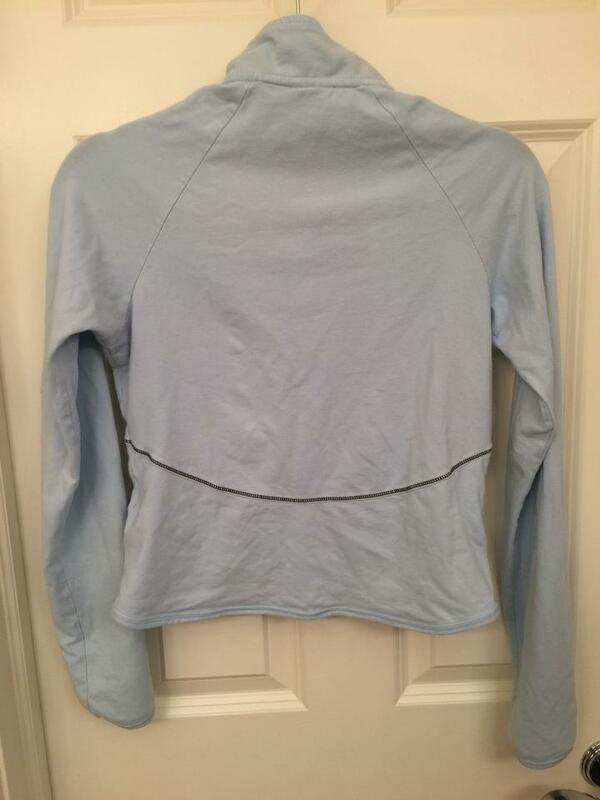 This nike full zip light top is 92% cotton and 8% spandex. Is great for layering and looks cute over a tank top. Can also wear alone on a cool summer or warm fall day.